In a small, nonstick skillet, melt the butter. Add the egg and fry over moderate heat, turning once, until crisp around the edge, about 4 minutes; the yolk should still be runny. 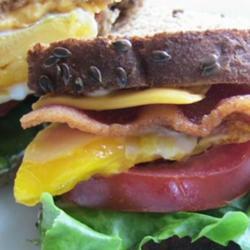 Slide the egg onto the lettuce; close the sandwich and eat right away.